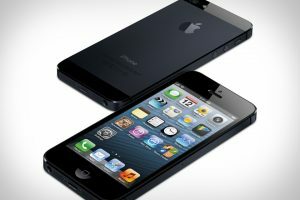 The iPhone 5 has barely been out a couple of months and it may be obsolete sooner than you think. Rumors point to the release of next iteration of the iPhone, the iPhone 5S, to be in early 2013. The China-based Commercial Times estimates that full commercial production of the iPhone 5S will begin during the first quarter of 2013. During December, the firm is expected to create between 50,000 and 100,000 units. Part of the reason may be that the fragile parts of iPhones cause some of the devices to break when they are shipped. This is strange for Apple considering they usually leave about a year between releases of new devices. However this may be a change of pace for the company. In addition to the recently released iPad mini, Apple also released a newer version of the iPad a mere 7 months after the latest release. This rightfully annoyed many iPad owners and an early iPhone 5S release may be equally upsetting. The iPhone 5 is likely to be a stocking stuffer this holiday season and releasing a new phone directly after the holidays would kind of be a slap to the face of consumers. Hopefully this rumor doesn’t hold to be true. It would cause the iPhone 5S to appear to be rushed and make a lot of consumers feel like they have been cheated. The reasoning behind a sooner release is unclear as to whether it is for profit, to keep up with the releases of Android phones, or a little bit of both. However, for the time being it is only rumor and will likely stay that way for the next couple of months.